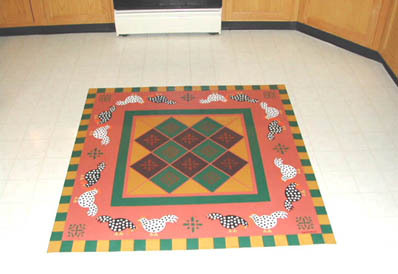 Here's an example of a kitchen decoration. 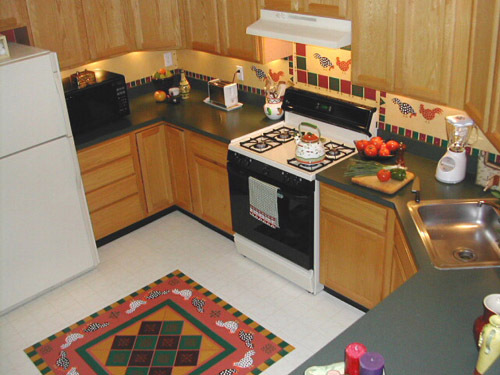 French Country Rooster Decor in Kitchen Kitchen has oak cabinets and hunter green counter top. Also there was some collection of roosters and hens decorative pieces. Therefore we selected the French country rooster decor. 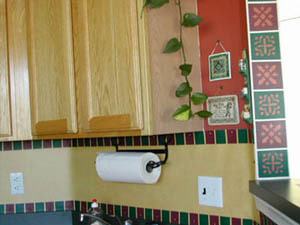 Kitchen Backsplash made with heavy duty primed canvas. 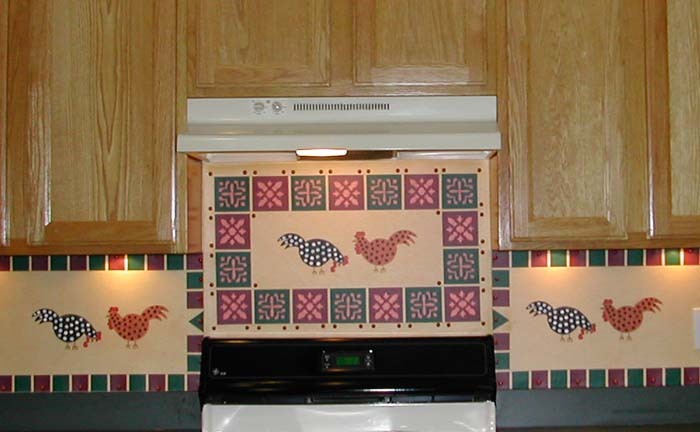 Pair of roosters were stenciled and custom made stencil was created for the motifs. Canvas is protected with 8 coats of varnish to handle heavy duty use. It can be cleaned with soapy water. The painted canvas is attached to the wall by using furniture tacks. 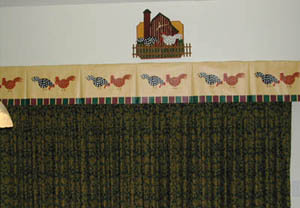 Patio Door Valance made with light weight canvas to produce graceful fall. Protected with 3 coats of varnish. 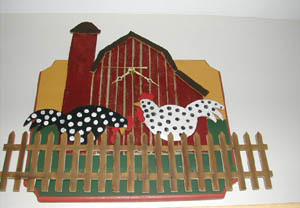 Roosters at the farm wall clock designed and created to coordinate with the kitchen decor. The column of stenciled motifs give the effect of decorative tiles. Protected with 2 coats of polyurethane. 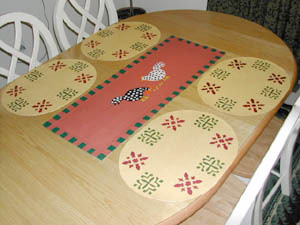 Table runner and placemats made from heavy duty primed canvas. Protected with 8 coats of varnish. These can be cleaned with mild ammonia solution or soapy water.